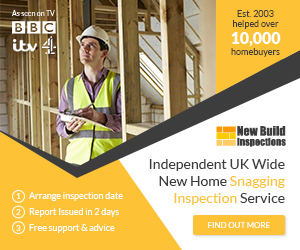 Persimmon Homes (Archive) make their yearly appearance on BBC Watchdog. Totley Hall Drive sounds charming and looks immaculate. But beneath the surface, things aren’t quite as perfect as they seem. The estate in Sheffield was built in 2000 by Westbury Homes, a company that’s now part of Persimmon Homes – the UK’s biggest house builder. Paul Goddard and his wife moved to the estate in April 2002. Ever since then, blue water has been coming out of their taps. The discolouration is due to copper contamination. Tests have shown there’s three times more copper in their water than the legal limit. Contaminated water is something Persimmon has heard of before. Three years ago we investigated one of its estates that had exactly the same problem. So why is it happening again at Totley Hall Drive? And it’s not just at the Goddard’s. The Bosworth family has also been affected. After checking all their taps, they realised they too have a problem with blue water. Yorkshire Water tested the water in various rooms and found the highest level was four times the legal amount of copper. It was a similar story with the Smith family, whose blue water problem was so severe it was blocking up their shower. With concerns growing, in 2005 the residents clubbed together and hired an independent expert to investigate. His report concluded that the source of the contamination was the copper pipes inside the houses that had not been correctly installed. But Persimmon’s own expert reached a different conclusion. He said the problem wasn’t the poor workmanship, it was all down to the mains water, and because residents weren’t using enough of it. The local water company, Yorkshire Water, has tested the supply going into the houses and found nothing wrong with it. Again it said the problem is with the pipes. And an investigation by the Drinking Water Inspectorate reached the same conclusion. After all these reports, back at Totley Hall Drive, the water is still blue. Persimmon has advised residents not to drink from any tap other than the one in the kitchen, and only after letting a litre of water run through. To solve the problem it said the copper pipes would need to be chemically treated, or completely replaced. But, it says, residents will have to foot the bill, which could be as much as £10,000. What has particularly annoyed residents is that there’s a precedent for the re-plumbing work being carried out and paid for by the original builders. Westbury Homes re-plumbed one house on the estate in 2005. But it, along with Persimmon, has refused to do any more. Everybody agrees the water in these houses is contaminated. Until it’s fixed, the families who live here can’t properly use what most of us take for granted. We have give the list of things to do in the house before 2yr passes. The advice from customer care: “I advice you bring the service forward to fix it”. Another joke, Boiler is on guarantee! Its their responsibility!!. Original advice on snugging about boiler cupboard was to not look there are is too complicated!! Nothing have been shown. Over all Customer Care does not exist on our development. Instead we have Persimmon Development Care!!! Not Customer!! !